This is a base recipe, for the meat and veggies used in Chicken Fajitas. I’m going to give you the calorie counts for just this chicken and veggies, and you can decide how you’d like to serve/eat it. It’s great in a variety of options including making fajitas with low carb tortillas, eating it over rice as a fajita bowl, or just adding lettuce, salsa, and a little sour cream to eat it “naked”. 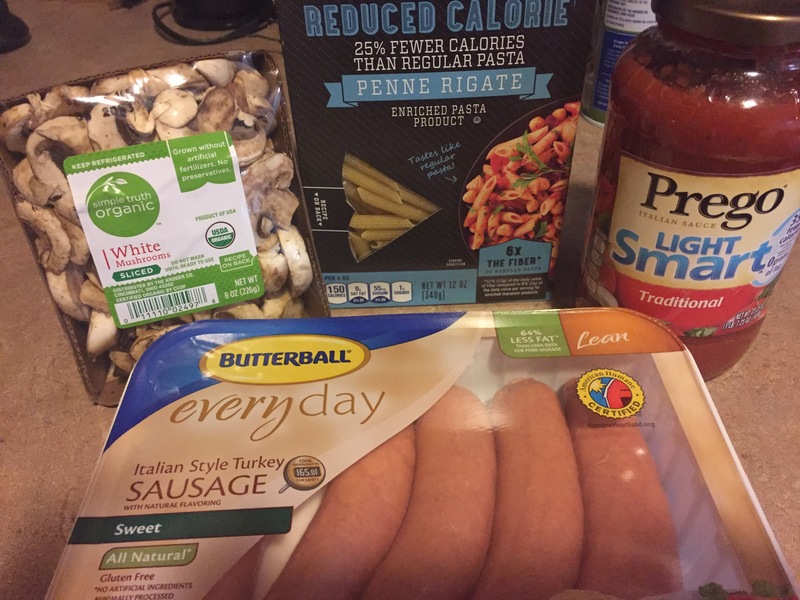 Get creative, and you can turn this into several different meals. Slice your chicken breasts into uniform slices, about 2 inches long x half an inch wide. Wash and slice your onion and pepper into thin slices. Mix the chicken strips, onions, peppers, oil, and all spices together in a medium sized bowl. Cover a pan sheet with aluminum foil, and spray with non-stick spray. Pour the contents of your fajitas onto the tray, and spread it out into a single layer. Bake on 400 for about 25 minutes, or until chicken reaches a safe internal temp. Editors note: serve with lettuce, tomato, salsa and 1 tbsp. low fat sour cream for about 300 calories! This was a simple and easy dish, that I served with rice, because I really like rice with tomato based sauces. 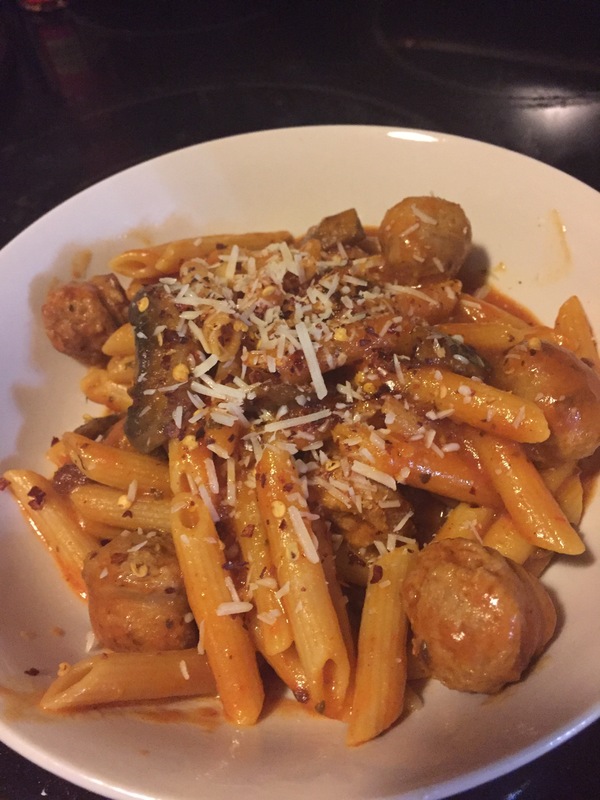 It turned out simple, pretty quick, and yummy. The best thing about this one is that I have all the ingredients I need on hand at just about any time, so it doesn’t take much planning. If you like the idea of this Mozzarella Chicken, check out my other Italian Recipes here. Heat your oil in a large oven safe skillet, on medium heat. Add chicken and sear until chicken is golden brown on each side, 2-3 minutes per side. Remove chicken and set it aside on a plate. Reduce heat to medium-low and add garlic to skillet. Cook about 1 minute before adding all of the following ingredients: crushed tomatoes, salt and pepper, basil, oregano, crushed red pepper. Stir everything together well in the skillet, and cook on low about 4 minutes, stirring regularly. Return chicken to skillet nestling them into the sauce. Cover each chicken breast in 1/4 cup of cheese, and carefully place your skillet into a preheated oven. Bake until chicken is cooked through. My breasts were on the thick side, so it took a little longer. I recommend starting at 15 minutes and then checking regularly until internal temp reaches 165. Serve with chicken and 1/4 of the sauce per person. 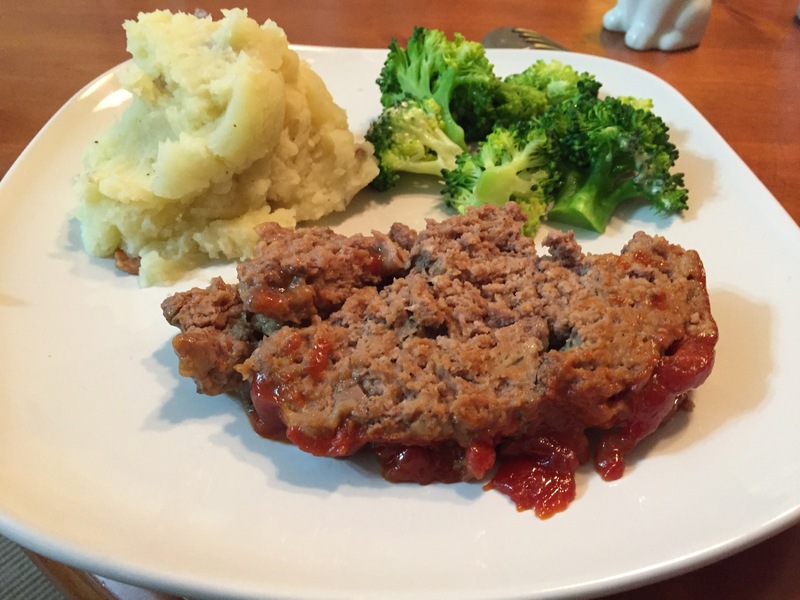 I already have 2 fantastic meatloaf recipes on this blog, which are go-to comfort recipes for me. However, I wouldn’t call either of them “traditional” meatloaf. 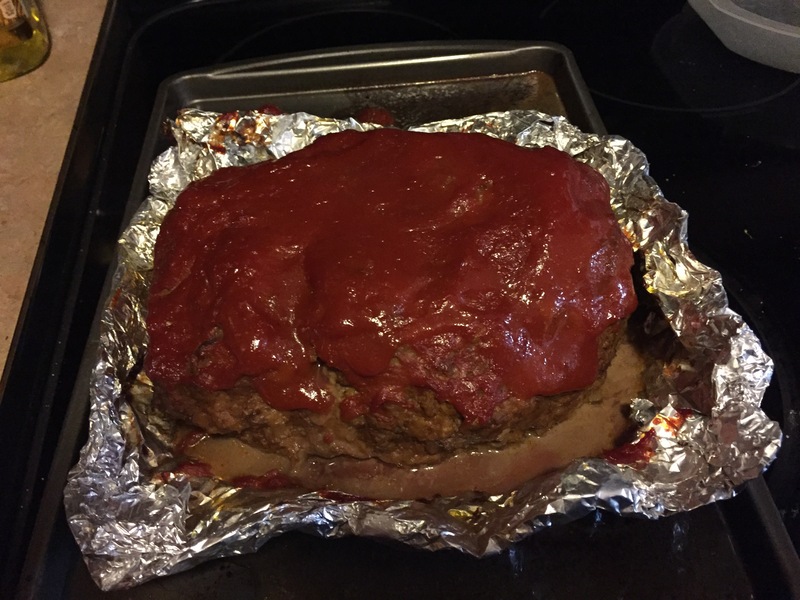 I recently bought an instant pot electric pressure cooker, and I found myself wanting to try a meatloaf recipe in it, but that also led me to realize I hadn’t cooked a normal, traditional meatloaf in a long time. So, I considered all the things I loved about my 2 existing meatloaf recipes, and added what I know about traditional meatloaf, and came up with this one. A mommy’s on a diet original. I’ve listed the traditional oven baking directions below, with a note at the very bottom for how to do this in an instant pot. If you like meatloaf, try my other 2 recipes for Sweet and Sour Meatloaf, and Individual Meatloaf Muffins for a different flavor! Crush all 25 of your crackers and place them into a large mixing bowl. Add beef, tomato sauce, ¼ cup water, eggs, garlic, salt and pepper to the bowl. Mix everything in the bowl together well. You can wear gloves and use your hands to do this, so you can really get in there and incorporate everything well. Form your loaf into whatever shape you like it and place it inside a baking dish that has been sprayed with non-stick spray. Bake uncovered at 350 for 40 minutes. And then remove meatloaf. Mix all Sauce ingredients together in a bowl, and pour evenly over the top of meatloaf. Increase oven temperature to 400 and continue baking 15 minutes or until center of loaf reaches 160 degrees. Editors Note: If you use 96% or 97% lean beef, decrease calories by about 30 per serving. Add another 2 TBSP water to beef mixture before baking to try to make up for loss of moisture with lower fat content. I recommend using a higher fat content (but still lean) like 90-93% lean.